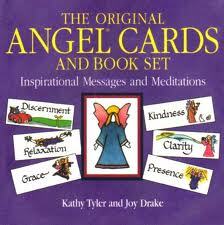 My daily practice, among others, is to choose an Angel card or two or three. Some may instantly respond that this is just another wooo wooo new age idea. On each Angel card is one single word. A simple word that offers a universal truth or a personal truth. It is an invitation to experience that word simply as a pointer and turn inward. I cannot tell you the number of times I have chosen an Angel card only to be surprised that it exactly reflected my inner state in that moment. Today’s first card was light. I don’t see this card that often. Honestly, I can say that in the last while my vision of self, higher purpose and comfort with who I am has been dimmed, if not darkened. Yet in the last week or so, I have felt this darkness lift, ever so subtly day by day. Now a reminder, Light. 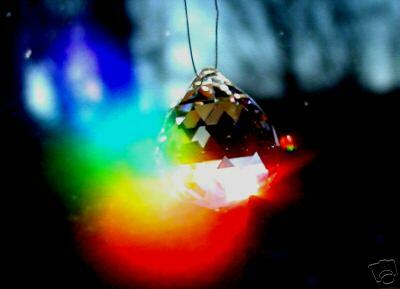 Light that emanates from all beings; just as the morning sunlight streams through the windowed doors, is refracted and reflected through hanging crystals sending beautiful rainbow fairies or angels dancing through the room. This is the dance of consciousness that many are waking up to. We are not beings alone and separate simply bumping up against others. Each of us as consciousness or light has the opportunity to refract and reflect on a, here to fore, different kind of living. One that reveres all, all beings, sentient or not, all forms that coexist on this beautiful, blue green planet. We are all part of this dance of the experience of consciousness. Eckart Tolle reminds us that the moment we realize we are not present, we are. It is in this presence that we wake up to the consciousness that has always been present. There is no where to go, once we wake up to the experience of this moment the great opportunity to participate together in this dance of life becomes apparent and sacred. Dancing together we explore oneness, compassion, love, synchronicity and, yes, light. On this thanksgiving, I am so grateful to all of you for being you. I wish you all light, love and happiness. The Word without a word, the Word within The world and for the world; And the light show in darkness and Against the Word the unstilled world still whirled About the centre of the silent Word.